Sinopia Chalk Ground Casein Gesso for Silverpoint is a versatile ground which can be used to prepare paper or panels for a range of painting and drawing techniques. However, because it includes chalk and a mixture of Zinc and Titanium White pigments, it dries to a rough, granular surface which is particularly suitable for silverpoint drawing. 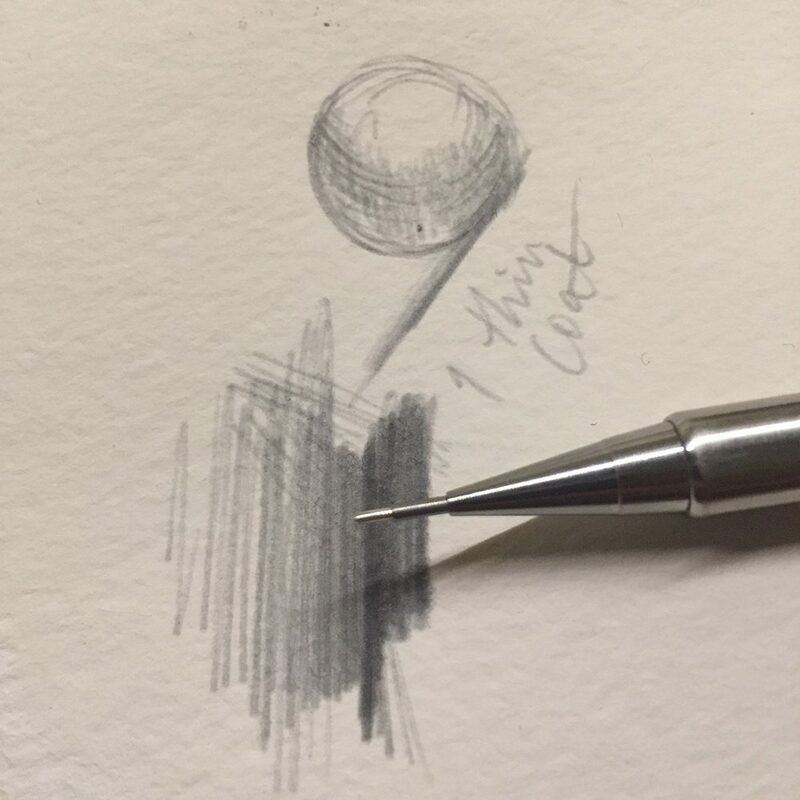 We therefore sent the ground to Lauren Amalia Redding, a prominent contemporary silverpoint artist who very kindly agreed to test Sinopia’s ground and compare it against the other options for metalpoint drawing. 1) Wet a Hake Brush with water. 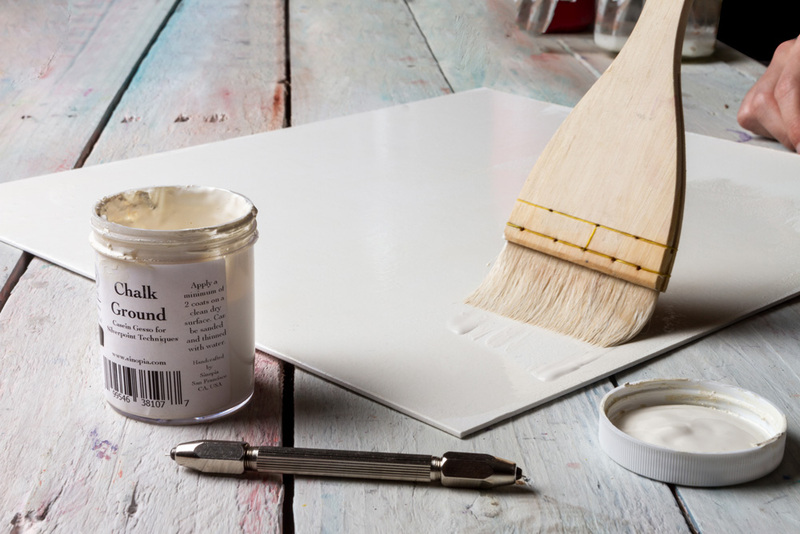 Casein Gesso is best applied thinly in several layers, and a wet (but not dripping) brush will help you achieve smooth, even coverage. 2) Open the pot of Sinopia Chalk Ground Casein Gesso and remove any crust from the inside edges of the pot. This residue is normal and does not indicate that the ground has perished. 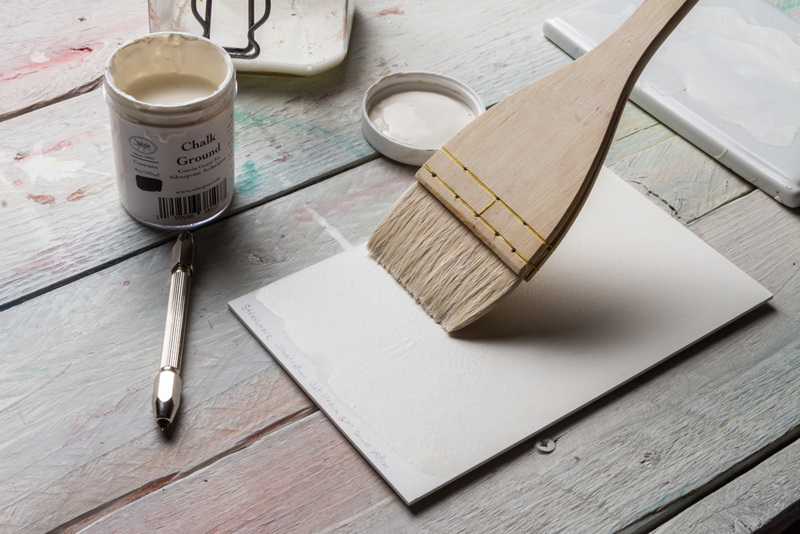 3) Brush the gesso onto your surface, taking care to apply it in smooth, even and thin layers. It is best to work reasonably quickly during this stage, and to brush the ground across the surface methodically, in one direction. 4) Wait four or five hours for this layer to dry completely, then add another layer. Two layers is the minimum we recommend; if you are working on a wooden panel with a dark hue you may need four or five layers. Do not apply more than two layers in a day. 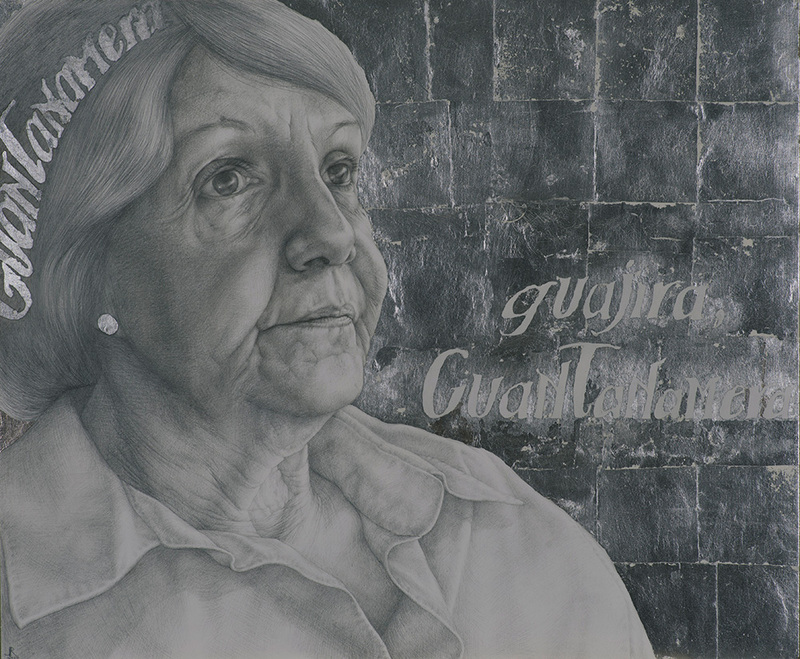 Lauren Amalia Redding, ‘Echar Mis Versos Del Alma’ (2017, Silverpoint and Silverleaf On Panel, 52x62cm). I’ve long admired Sinopia Pigments, based in San Francisco, California. Casein seems to be a specialty of theirs, especially as they produce and sell a line of milk-based paints for high-end interior decoration. This made me giddy to test and review their Chalk Ground Casein Gesso, made specially for the rare, anachronistic medium of silverpoint. I conducted this review on cold-pressed 140 lb. watercolour paper from Strathmore and a scrap of MDF, which I typically use as a surface. MDF is medium density fibreboard, a composite board found in most hardware stores, heavier but cheaper than quality plywood. Its surface is uniformly smooth, making it lovely and absolutely dense to draw upon. I most often use a traditional gesso made out of rabbit skin glue, bone ash, and Zinc White pigment. The inclusion of zinc white on the ingredient list for the Sinopia ground was refreshing, as, out of all white pigments, I find its putty-like surface to be most suitable for silverpoint. I have never — and I can’t emphasise ‘never’ enough — worked with a ground that developed a dark value range so quickly. Silverpoint is notorious for its limited, ephemeral value ranges, and usually the measure of a ground is how wide a value range it yields. The Sinopia Chalk Ground wins, hands-down. In fact, upon using it, I had to remind myself over and over again to draw with a softer touch as the lines were uncharacteristically dark upon the first pass. In fact, the values developed quickly enough that it reminded me of recent sketching endeavours with ballpoint pen. The values are not, nor will be, as deep and velvety as ballpoint’s. But for silverpoint, they almost shocked me. Demonstrating the depth of colour available with one thin coat of Sinopia Gesso. Its ease of application is a marvel as well. It is a ground that cannot easily be replicated in the studio, as it interestingly includes oil emulsion. This is the first ground I’ve encountered that may actually benefit your brushes rather than risk their destruction (as anyone who’s left animal hide glue sitting in bristles knows). The oil emulsion acts as a sort of conditioner, and my cheap little hake brush did seem to perk up after use. The ground washed off so quickly and clearly that I don’t even know if soap is necessary. Unlike traditional grounds with limited application windows or the need to be kept at certain temperatures, the little pot of Sinopia gesso is patient and low-maintenance. You simply open it and apply. Another pro is that it seems to really absorb into a paper support in particular, which is necessary with silverpoint to prevent a sharp stylus destroying the soft substrate. On panel, many thinned-down coats are best, partly because of a panel’s initially-darker colour but also because the wood particles interact differently with the ground than paper particles. It’s almost as if the paper particles and the ground meld into one composite immediately. However, with panel, it feels as if the particles fight a bit with the ground on a molecular level; the ground sits on the panel’s surface rather than sinking down into it. 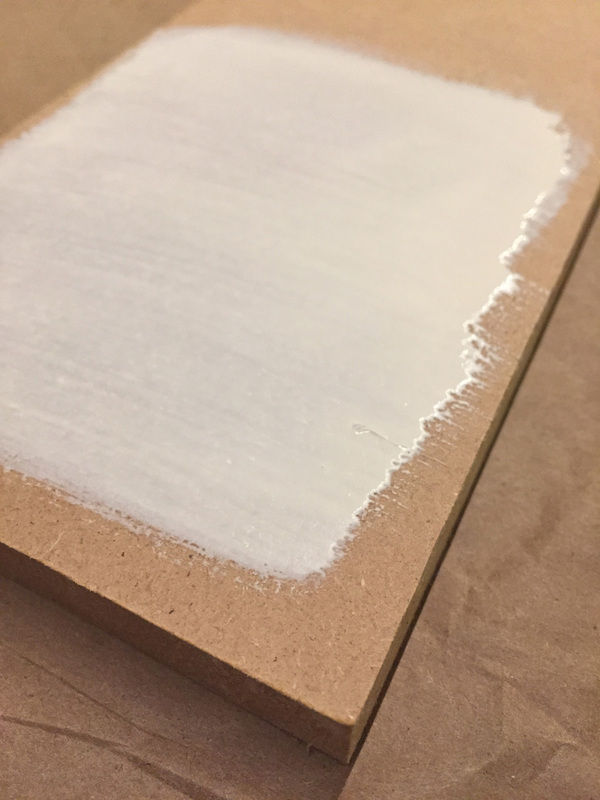 Sinopia’s website recommends only applying two coats per day, so if you need 5-6 coats to cover a surface (such as an MDF panel or anything akin to it), your gessoing could last a few days. An additional pro is that this ground blends beautifully with raw pigment, and so can easily be tinted: another testament to Sinopia’s creamy consistency. 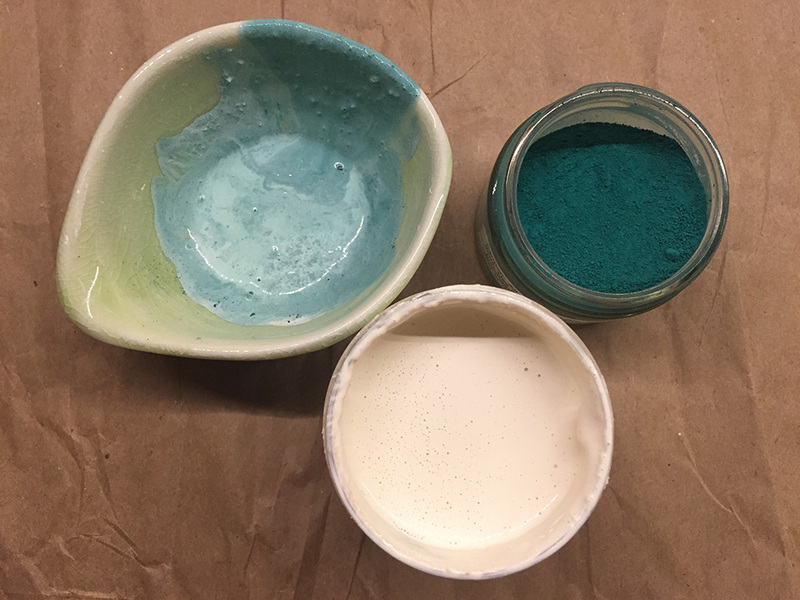 Whereas all sorts of different materials can be added to a traditional ground (or even the Golden Silverpoint Ground I’ve reviewed before), I wouldn’t recommend mixing anything other than raw pigment into the Sinopia Chalk Ground. A casein chalk ground possesses a very specific makeup and adding another material would really disrupt it and its surface. The drawbacks of this ground are purely subjective. 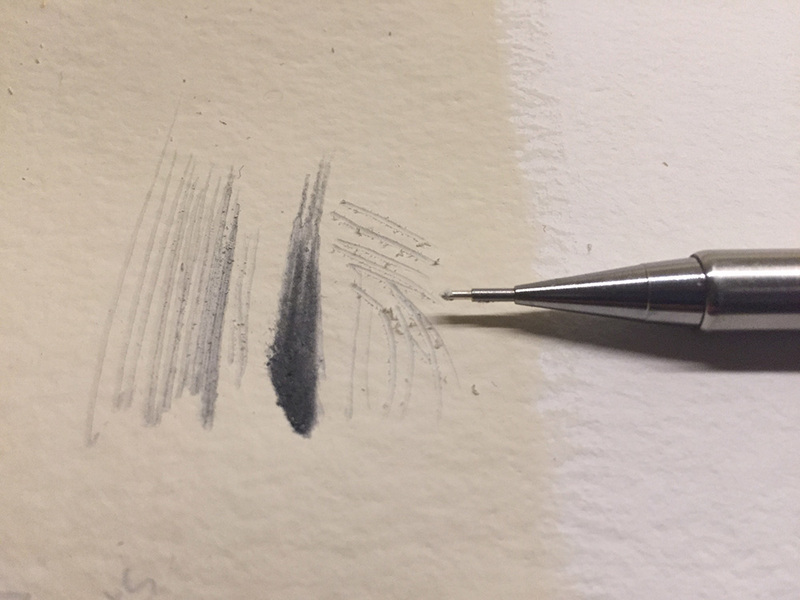 Though I can see a lot of artists liking the Sinopia Chalk Ground’s consistency — a testament to the rich casein binder — I found it best to wet your brush before application to make it flow a little. It’s wonderfully buttery but a little thick, and the wet brush eased application considerably. It is also notable that the gloopy-ness was less apparent on paper, and the gesso is so smooth that sanding — another task necessary in making your own ground — wasn’t needed. But now on to the biggest con: again, a subjective one. The Sinopia Chalk Ground, even when watered down, is… chalky. Unless the artist is content maintaining a very light touch and working on its surface with a rounded, thicker stylus, the point of a stylus can slice through it. My stylus — which has a sharper end — would, at times, cut through and remove whatever was drawn underneath. (American realist Steven Assael uses this effect divinely in his work, often taking a razor blade to his drawings to slice pure-white highlights such as individual hairs.) I attribute this not necessarily to the chalk, but rather to the softness of the casein binder. This permitted some inconsistencies in line work: both delineated hatchmarks and coarse, atmospheric marks are possible, but were unpredictably produced. 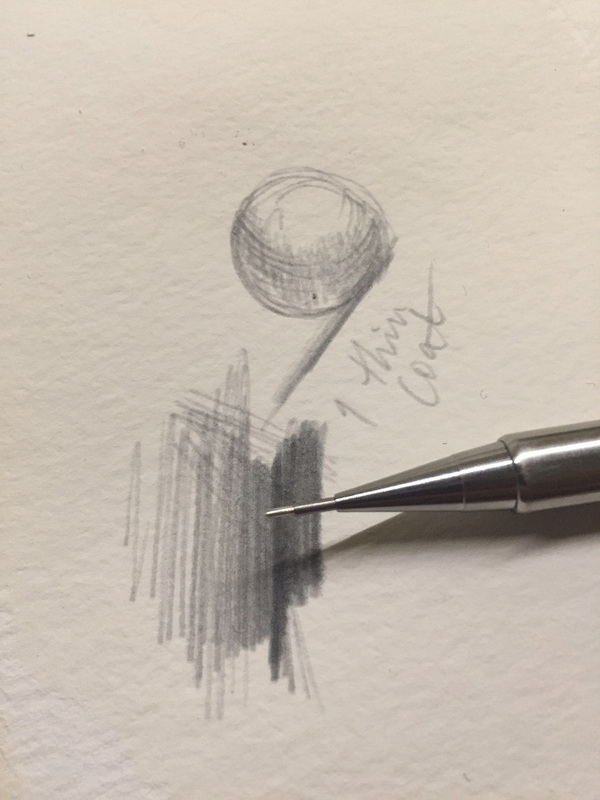 I take responsibility for this discrepancy, however, as I draw aggressively with silverpoint, pushing the stylus and support, and many artists prefer to maintain a minimal, fleeting touch and so may not encounter this issue. 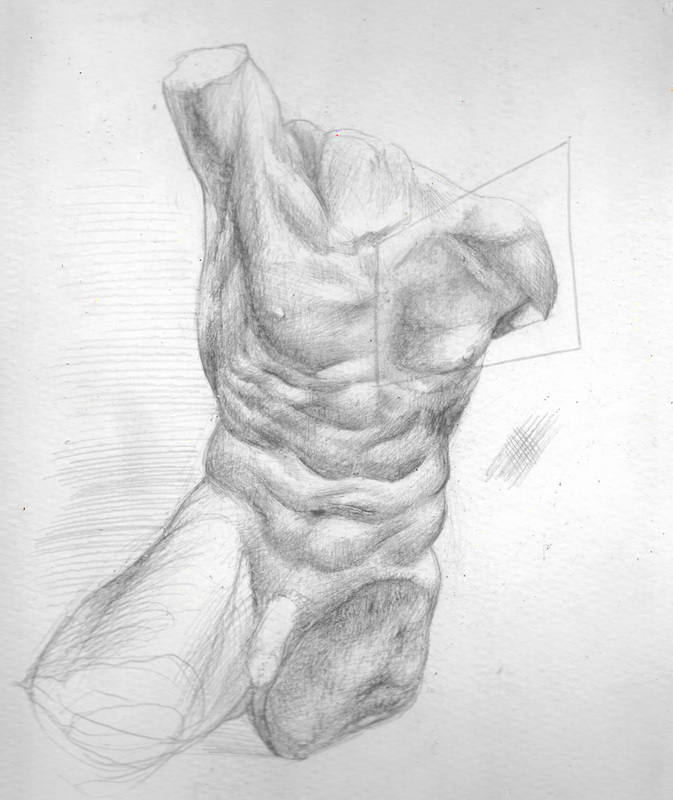 The other problem I encountered can be seen in the rhomboid area of the torso drawing below. While the ground can be sanded during its initial application, I tried to sand on top of the drawing as a form of erasing, and that was not compatible with the ground’s gummy consistency once the metal had been laid down. It erases cleanly with a rubber eraser, but too much rubbing of any sort does disrupt the surface. In this regard it behaves the same way as traditional grounds: one should avoid erasure. A silverpoint sketch by Lauren Amalia Redding on the Sinopia Chalk Ground Casein Gesso for Silverpoint. 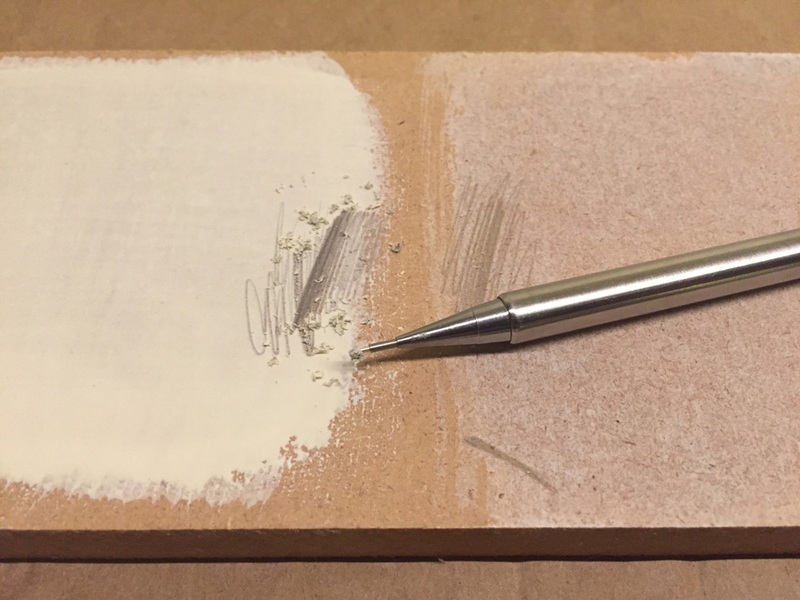 Overall, I found the Sinopia Chalk Ground Casein Gesso for Silverpoint to yield gratifying darks and its surface to be supple. It’s ideal for gilding and would be especially effective in teaching and workshops. While an acquired taste, its value range — and the quality, craftsmanship, and research which are put into all Sinopia’s products — make this casein chalk gesso worth the time needed to master it. Sinopia Chalk Ground Casein Gesso for Silverpoint is available in three sizes from Jackson’s: 100ml, 500ml and 1000ml. Jackson’s also stock Hake Brushes, Strathmore Papers, Silverpoint Styluses and the Golden Silverpoint Ground. 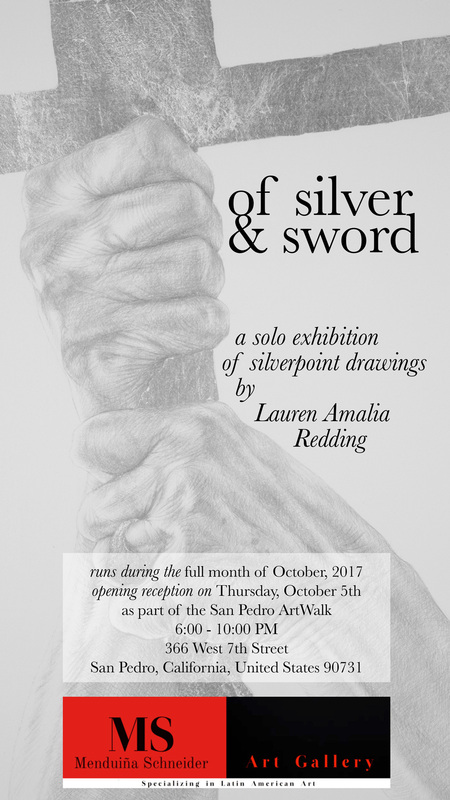 Readers who want to see more of Lauren’s art might wish to view her website or visit ‘Of Silver & Sword’, a solo exhibition of silverpoint drawings by Lauren Amalia Redding which runs throughout October 2017 at 336 West 7th Street, San Pedro, California, USA 90731. The poster for this exhibition is featured below.